Divorce - Mediation - Settlement – Husband paid Rs. 1.5 crores to Wife and Rs. 1.5 crores for the welfare of the child - Another sum of Rs. 1.5 crores, for the purchase of a flat also paid to Wife - Criminal proceedings pending against the ­husband quashed – Divorce Granted. (N.V. RAMANA) (SANJAY KISHAN KAUL) (MOHAN M. SHANTANAGOUDAR) JJ. For Respondent(s) Mr. Pradeep Kant, Sr.Adv. Mr. Divyanshu Sahay, Adv. Ms. Vanshaja Shukla, AOR Mr. Sanjaye Goel, Adv. 2. These appeals by special leave are directed against two orders of the Allahabad High Court. Vide impugned interim order dated 18.04.2018 in Application No. 03 in First Appeal No. 7561 of 2014, the High Court dismissed the application of the appellant herein, seeking permission to admit his daughter to a renowned school. By impugned judgment andorder dated 30.07.2018 in Transfer Application No. 241 of 2018 the High Court transferred Divorce Petition No. 619 of 2017 from District Court, Meerut to District Court, Ghaziabad in favor of the respondent herein. 3. On the representation by the learned counsel for the appellant that the disputes between the parties can be settled amicably, notice limited to the possibility of such settlement between the parties was granted by this Court vide order dated 18.05.2018. 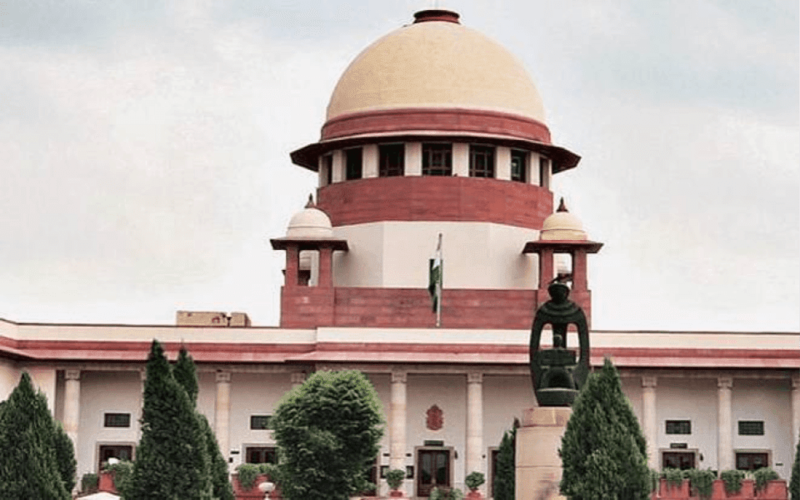 By order dated 12.10.2018, this Court referred the dispute for mediation and appointed Ms. Sadhana Ramachandran, learned counsel, as a mediator, Delhi High Court Mediation and Conciliation Centre, to amicably resolve the dispute between the parties. 4. In compliance of the order dated 12.10.2018, various mediation sessions were conducted jointly and separately between the parties by the mediator. It appears that during the mediation both the parties expressed their intent to not continue with their marriage and decided to dissolve the marriage through mutual consent. 5. Pursuant to mediation, both the parties have arrived at a settlement to peacefully resolve their disputes and differences fully and finally, and entered into a Settlement Agreement dated 15.01.2019, which has been placed on record by the learned counsel for the appellant. 6. With the mediation proceedings now admittedly at an end, and both parties having reached a mutual agreement, the learned counsel for theappellant has placed Interlocutory Application No. 9138 of 2019 before this Court for the passing of a decree of divorce in terms of the settlement arrived at between the parties and for quashing/disposing of the pending proceedings between the parties as mentioned in Table No.1 of the settlement. 7. Learned counsel for the appellant has handed over one demand draft of Rs. 1.5 crores to the learned counsel for the respondent and another demand draft of Rs. 1.5 crores for the welfare of the child has been handed over to the respondent – wife. In view of this, the amount of Rs. 3 crores has already been paid. Another sum of Rs. 1.5 crores, for the purchase of a flat, will be provided within a period of six months by the appellant. 8. Learned counsels for the parties undertake to abide by the terms and conditions set out in the settlement agreement. a. Miscellaneous Case No. 714 of 2017 before the Principle Judge, Family Court, Ghaziabad, being an application for maintenance under Section 125, Cr.P.C. b. Case No. 2507 of 2017 before the Judicial Magistrate, Ghaziabad under Sections 18, 19, 20 and 21, Protection of Women from Domestic Violence Act, 2005.
c. Police complaints dated 16.05.2017 filed before SSP Ghaziabad and Mahila Thana, Ghaziabad. a. Divorce Petition No. 619 of 2017 filed by the appellant, pending before the Principal Judge, Family Court, Meerut. b. Application under Section 26, Hindu Marriage Act in Divorce Petition No. 619 of 2017 for custody, filed by the appellant, pending before the Principal Judge, Family Court, Meerut. c. Application under Section 7, Guardian and Wards Act filed by the appellant before the Family Court, Ghaziabad. d. First Appeal No. 70 of 2018 filed by the appellant and pending before the High Court of Allahabad. e. Appeal No. 531 of 2018 filed by the respondent against the dismissal of counter claim in O.S. No. 619/2017 before the Family Court, Meerut under Sections 9 and 25, pending before the High Court of Allahabad. f. Case No. 1412 of 2018 filed by the respondent under Section 9, Hindu Marriage Act and pending before the Family Court, Ghaziabad. 11. All the aforementioned criminal as well as civil proceedings, mentioned in Table 1 of the Mediator’s Report, hereby stand disposed of in terms of the settlement agreement arrived at between the parties. 12. So far as the divorce is concerned, since the parties have agreed to go their separate ways, taking into consideration the terms of settlement and the facts and circumstances of the case, we hereby dissolve the marriage of the parties in exercise of our powers under Article 142 of the Constitution of India and grant a decree of divorce. The parties will remain bound by the terms of their settlement. 13. Interlocutory application No. 9138 of 2019 is, accordingly, allowed. 14. The Mediator’s Report as well as the Settlement Agreement dated 15.01.2019 be made a part of this order. 15. The appeals stand disposed of. Pending applications, if any, shall also stand disposed of.